Apologies for the delay yawl. Our email got hacked twice, but Joy informed me that its a bot or machine, not a person.I pictured some nerdy dude clicking away because he erased some important #$%^. Anyways, the wait is worth it for this months piece and two new collaborators to Come Bien! This is another edition of "In the Wind", a section about people of color from the U.S., who have traveled beyond its borders .....Peep.The portfolio's and accomplishments of the team that bring you this month's piece are extensive to say the least. 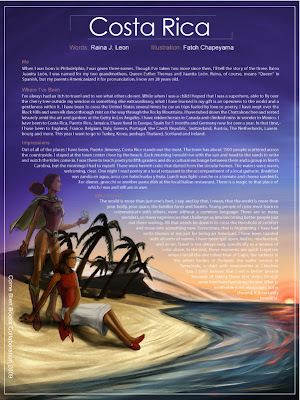 Sister Raina J. Leon is a published author/ poet who has been featured in over twenty print and online publications. She was a finalist for the Cave Canem First Poetry Book and the Andres Montoya poetry prize awards. She has received fellowships for creative writing from the Vermont Studio Center, Kimmel Harding, has lead the High School Literacy Project, and she is working on an anthology to teach Latin@ poetry for students from several age groups. Whew! She is currently teaching English and Spanish in Germany. Make sure you check out her book "Canticle of Idols", a collection of poetry. I met the extremely talented artist Fatch Chapeyama this past summer at the Pueblo Nuevo Gallery, through another talnted artist, Ms. Annette Diniz (whom you will be seeing more of soon too hopeully). Fatch comes to you from many places, Michigan and the Bay Area being some of them. Not only is this brother a talented illustrator but he also a product designer. You can check out his illustrations, product and graphic design work by clicking on his name. 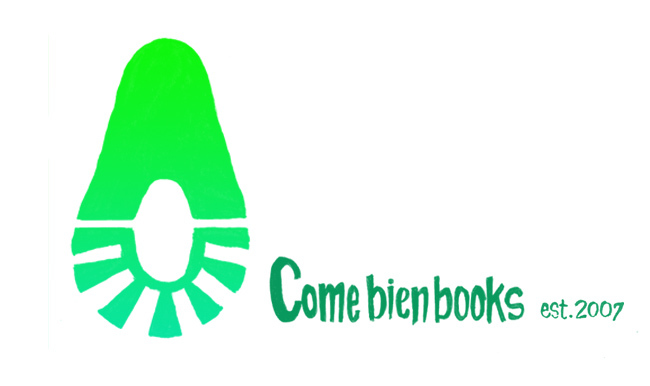 Come Bien Books is a collaboration btwn illustrators and writers with a focus on people of color.....thats the short version. Come Bien featured in L Magazine, kinda.